New Delhi PowerShell User Group. India's First PowerShell based User Group. today i was trying to remove some junk folders and files in a specific folder. But i don’t want to remove all of file and folder , i want to keep few folders. Then i think that i should use the –Exclude switch with Remove-Item Cmdlet. I tried to use –Exclude switch but somehow i failed to get it working because i don't know the exact patter used by –Exclude switch. After few minutes of testing i get it done and i thought i should share this tip with you. in -Exclude switch give the folder name which you don’t want to delete, no need to put the in a double quotes “” in folder name . You can provide multiple folder name separated by comma. in pattern matching make sure you put the wild cards in double quotes “”. see we have System,Temp, few XML and one Updates.Ser file which we exclude to deleted. lets run the script now and see which file is getting deleted. after running the script . All folders are stay intact which we exclude in the Remove-Item cmdlet. I hope that i helps someone . I have no idea about this topic. Your post helped a lot in understanding the basic of this function. I just followed the steps given in this post. I think to be formal with it I need to apply this several times. Thanks for the post. Your script is not working. If you have files inside system and temp folder they are removed. What about the contents of system and temp folders? 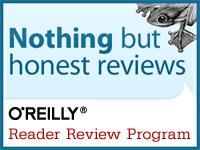 "I review for the O'Reilly Blogger Review Program"
Part-4: Text Manipulation in PowerShell using .Replace(), and .Remove() methods. PowerShell Tip : Find Default Printer Installed using Powershell.